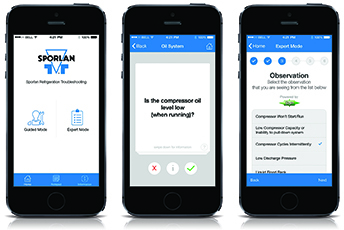 Overview – Sporlan Refrigeration Troubleshooting App was designed to assist field technicians of all skill levels with troubleshooting all components of a Direct Expansion (DX) refrigeration system. The App utilizes 80 Years’ worth of experience in the HVACR industry to provide the best troubleshooting information. The app also allows the technician to take notes while troubleshooting the system. The app has two mode to assist different levels of technicians. Guided Mode – This mode steps the User through a series of Yes or No troubleshooting questions to get to the root cause of the problem. It goes through all aspects of a DX refrigeration system and gives the technician 7 areas to start from. This modes is focused on the newer technician base and teaches them a good process to follow when troubleshooting DX systems. Expert Mode – This modes breaks down troubleshooting into 6 sections to get to the root cause of the problem. It gives a drop-down list in each section where an experienced technicians can quickly get to a proposed corrective action. This mode is setup to give a checklist of possible scenarios for an experienced technician, for them to ensure they haven’t missed something. Notepad – This feature allows technicians to make notes, record memos, capture pictures, or even record a video. Once the notes is created and all information is collected, the User has options to Email the information, Message the information, Print the information, save the information on iCloud, or send the information to Dropbox. This is a great way for a User to provide proof of work to a boss or customer. The app is available in iOS and Android platforms. 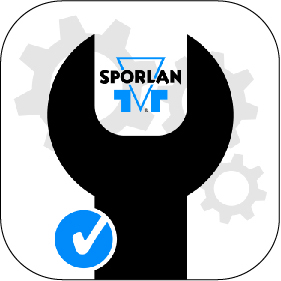 Click below on your chosen platform to download the Sporlan Refrigeration Troublshooting app. Not on your mobile device? 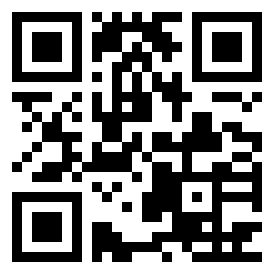 Scan QR Code with your device.